As a result, he said: "I will be delaying the US increase in tariffs now scheduled for March 1. Assuming both sides make additional progress, we will be planning a Summit for President Xi and myself, at Mar-a-Lago, to conclude an agreement. A very good weekend for US & China!" The president did not set a new deadline for the talks to conclude, but he told US state governors gathered at the White House that there could be "very big news over the next week or two" if all went well in the negotiations. The Chinese government's top diplomat, State Councillor Wang Yi, told a forum in Beijing on Monday that the talks had made "substantive progress", providing positive expectations for the stability of bilateral ties and global economic development, China's Foreign Ministry said. China's official Xinhua news agency said in a commentary that the goal of an agreement was getting "closer and closer", but also warned that negotiations would get more difficult as they approached the final stages. "The emergence of new uncertainty cannot be ruled out, and the long-term nature, complexity, and difficulty of China-US trade frictions must be clearly recognized," Xinhua said. Trump and Xi called a 90-day truce last year to give their advisers time to negotiate a deal. The threat of tariff increases represented significant leverage for the Trump team as Beijing is trying to stabilize China's cooling economy. "We can't be sure whether this constitutes a major cave or success because we don't know the details of what has been negotiated. But ... agreeing to extend negotiations a few more weeks definitely is in China's interests," said Scott Kennedy, a China expert at the Center for Strategic and International Studies in Washington. "At this point, the US has likely gotten all it's going to get out of China." J P Morgan Asset Management market strategist Tai Hui said the move suggested both sides wanted a settlement of the dispute and added that further tariff escalation would have added to concerns about the US growth outlook. 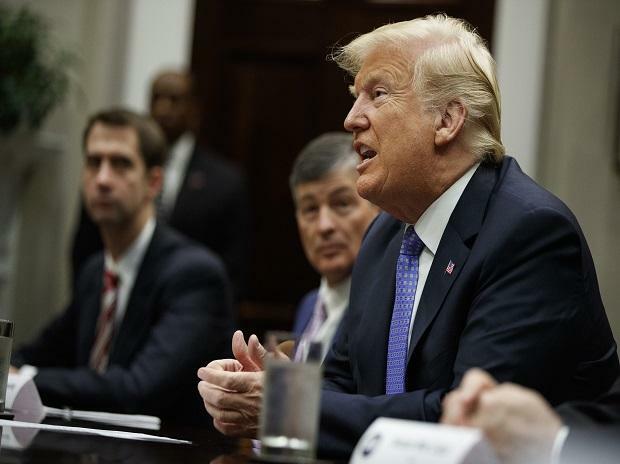 Markets, which have been sensitive to the dispute as it has slowed global growth, and some US trade associations cheered Trump's move. US equity index futures opened higher on Sunday evening as trading kicked off for the week. S&P 500 e-mini futures ticked higher after Trump's tweets on trade, suggesting Wall Street would open on positive footing on Monday morning. Chinese stocks and the yuan jumped at the start of trade, with the benchmark Shanghai Composite index up 2.1 percent, its highest since Aug. 1, and the yuan hit its strongest level against the dollar since July. Trump said on Friday there was a "good chance" a deal would emerge. But his lead trade negotiator, US Trade Representative Robert Lighthizer, emphasized then that some major hurdles remained. Lighthizer has been a key voice in pushing China to make structural reforms.